Cloud computing is the hot new term for most business owners nowadays. It’s the promise of cheaper and effective technology that we can use on everything from an under-powered cheap laptop to our smartphones and tablets. It promises us that we can run businesses with less capital and gives us plenty of reasons to allow remote employees into our company. However, most people don’t realize how cloud computing really works, what the real advantages are and what the drawbacks are. As with anything in life, there are upsides and downsides that need to be considered. So to help you out, we’re going to give you a definitive guide on small business cloud computing. We’ll be explaining what cloud computing really is, how it can be used for small businesses, and also some pitfalls to look out for and mentality shifts that are required to fit cloud computing into your business. In a nutshell, cloud computing is utilizing another computer on the internet for your own purposes. This means that instead of using your computer’s personal processing power, you’re using another computer on a network somewhere else in the world. Thanks to high-speed internet connections that are available to us at a relatively low price, it’s given us more opportunities to create web-based applications and services that don’t require you to download anything. This ultimately means that you can run these applications and services, no matter how complicated they are, on under-powered hardware such as old laptops, phones or even smartwatches. In other words, think of cloud computing as an extension of what your computer is currently capable of. What Are Some Applications Of Cloud Computing? STORAGE - One of the most common uses for cloud technology is storage. If your device has limited space, then high-speed internet connections allow you to use the internet as another storage medium. This comes with many advantages such as being able to access your cloud storage on multiple devices, share files with people over the internet and even store precious documents that can be recovered even if your device breaks. SOFTWARE-AS-A-SERVICE (SaaS) - Software-as-a-service is essentially using the web for services such as word processing, image editing, accounting or even sales. Instead of purchasing and owning software, using SaaS typically means that you pay a monthly fee to use the software. This means fewer upfront costs for expensive software and it also means that your device or computer doesn’t need much computational power–it just needs an internet connection. BACKUP - Backing up files is important for any business. Whether you’re a small bakery or a billion dollar company, files need to be backed up in the event they’re corrupted or lost due for one reason or another. This is similar to the storage application, but instead of using it to store general files, it’s used to backup entire databases of data and important files. HOSTING - Hosting is typically done on a computer that you own, such as a server. However, that costs a lot of money and you probably don’t have that capital when you first start your business. The better solution is to use cloud hosting which costs a lower monthly fee. This helps you get your services up and running quickly and means you don’t need to purchase expensive server-grade hardware. COLLABORATION - Because everything is hosted on the internet, you can use cloud computing to collaborate on different files and projects. For instance, you can use collaboration to write notes on a document as it’s being written or to work together on presentations with team members across the world. As you can see, there are many practical applications for cloud computing that can all be utilized with relative ease and a low cost. Now, let’s take a look at how cloud computing can actually benefit your business. You’ve probably already seen how cloud computing can be put to practical use, but let’s delve into the benefits you can expect as well. There is an endless number of advantages that you can expect when using cloud computing. It’s helpful because it improves your productivity while at the same time, lowering running expenses. It helps you find new employees thanks to remote working opportunities, and it can improve how you collaborate with other people. Cloud environments are fast-moving and dynamic, meaning there’s no waiting around to see changes to documents and you can share and utilize all different types of files through the applications that you use on the internet or even on your computer. It also gives you the opportunity to be more productive with your business. For instance, you can easily create a website flowchart using cloud computing and you don’t need to rely on a website designer to do it for you. You could even design a website visual editors on the internet that are made with cloud computing technology. This gives you a lot of flexibility and means you don’t need to hire freelancers or outsourcing services to get professional results. Cloud computing also offers stability and a contingency plan. By utilizing backups, you can essentially keep all of your data safe and secure even if your computer breaks down or the hard drive fails. This means that your business can continue to operate as long as you have access to those data backups, meaning there are fewer things that could ruin your company. Most business owners will use some form of cloud technology in their companies. Be it for the collaborative advantages it offers, the cost savings or even the chance of hiring remote employees, it presents many modern benefits that startups today need in order to have a chance of breaking into the industry. There are countless benefits that we’ve not listed because the industry is growing every month. Hardware is improving, services are getting cheaper and uses are expanding. In the future, we might see businesses that are run entirely on the cloud with no physical address to speak of. Cloud technology is the future and it’s already overtaking many traditional work processes. What Are The Downsides Of Cloud Computing? However, cloud computing doesn’t come without downsides. One of the main drawbacks of cloud computing is that it requires training to use some of the services. For instance, if you’re going to use cloud hosting, then you still need an understanding of how servers work, how to get the most out of the service and also how to troubleshoot problems. While customer service is usually excellent on cloud services, that doesn’t mean you can go in with zero knowledge and expect to see fantastic results. In addition, security is another concern that people have on their mind. Even a company like Apple had its cloud storage hacked in the past, so no one is really safe. Business owners need to make the decision of where they keep their important data, and while the cloud is a great low-cost solution, it also poses security risks. In some cases, having a physical hard drive or storage medium is the safest way to keep information private. There are more risks as well related to security, but business owners need to weigh the ups and downs and decide for themselves if it’s worth the potential risk. Let’s face it, no company is safe from security threats no matter how expensive or how secure the companies claim it to be. Premium cloud services are obviously going to be more likely to protect your data, but that doesn’t mean they’re completely invulnerable. However, cloud technology is always improving so security measures and disadvantages are being erased one at a time. We’re always going to see growth in this sector and there are countless ways to improve on existing cloud technology to make it safer, cheaper, faster and more effective. It's usually a very strong return on investment when your SMB utilizes cloud computing tech. While there might be downsides now, keep in mind that technology is growing at such a fast rate that we’ll soon see these disadvantages become less of a factor. Cloud computing has many excellent advantages for small businesses to take advantage of. However, that’s not to say that it’s the end-all solution to everything. There are many reasons to use cloud computing but there are some tasks that, especially for small businesses, are best left to traditional methods. Cloud computing isn’t a one-size-fits-all deal, and it’s important to do your research and learn how to use the tools effectively (or teach your employees how to) before it can become an integral part of your business that you can rely on. Hopefully, this guide has taught you all you need to know to make informed decisions on when and how you should include cloud solutions to your business workflow. Whether you’ve already raised the capital for a startup or you’re still in the planning stages of your business, we hope that this guide has been helpful to you. 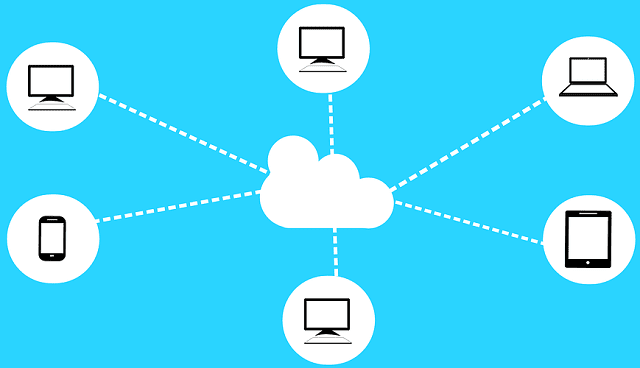 I hope you enjoyed this article about how cloud computing can benefit small business. Interested in more articles about cloud computing?